Meet Vision. 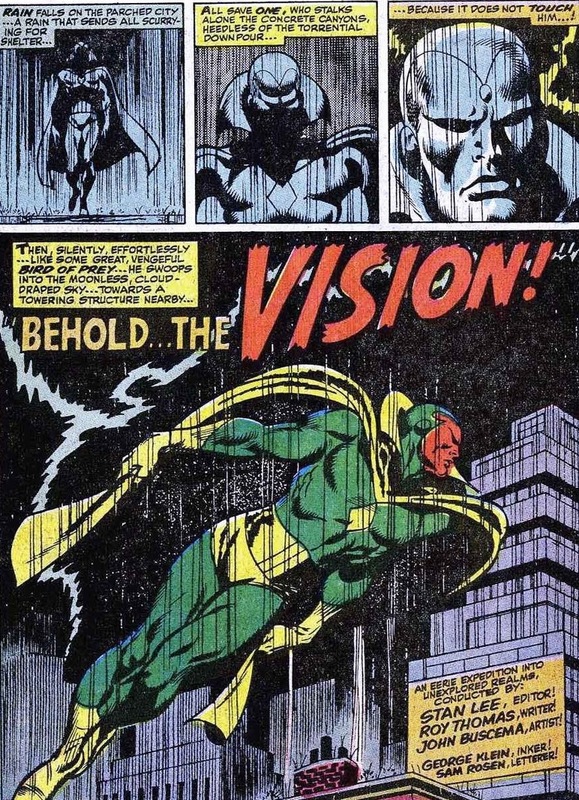 While I can’t explain the color scheme, Vision may be one of the most powerful superheroes fighting crime today. 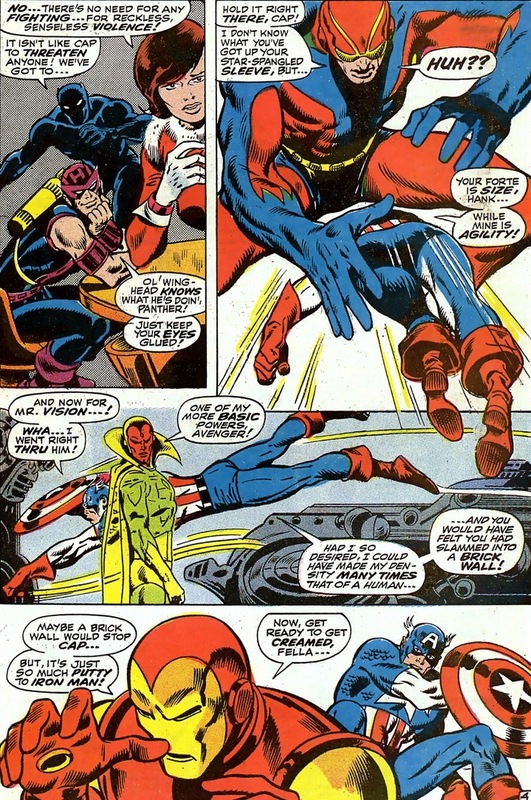 Vision — an android with a human mind and the rest consisting of robot parts — can shoot lasers, become intangible (like Kitty Pryde), and increase his body density to become super strong/durable. 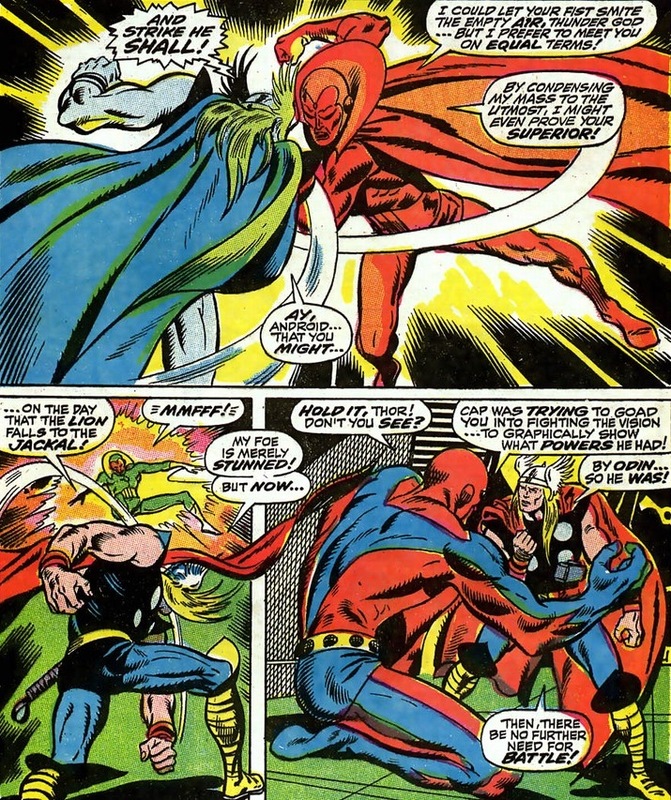 He also married Scarlet Witch back in the day, so that sort of makes him Magneto’s son-in-law. Also, he can cry. 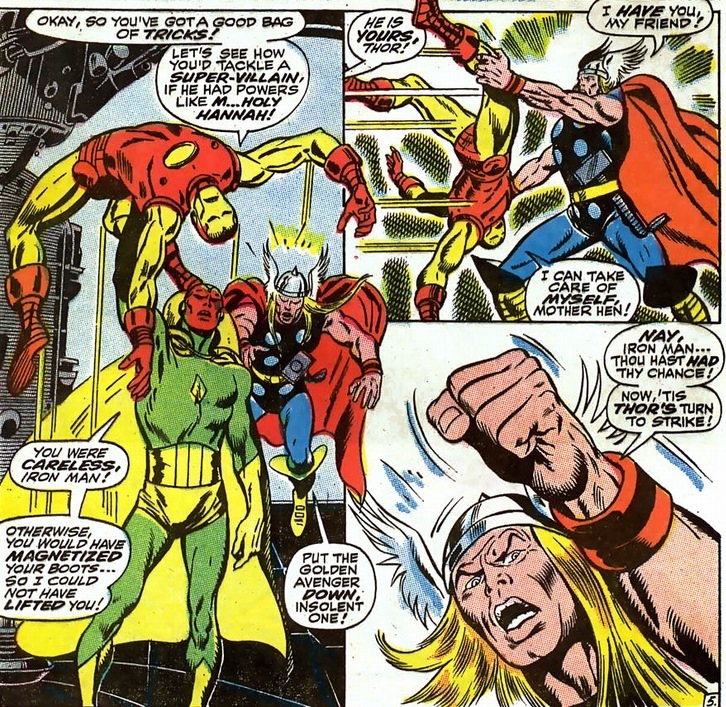 But in his introduction he serves as a foil, because the Avengers lacked a villain to punch that issue. 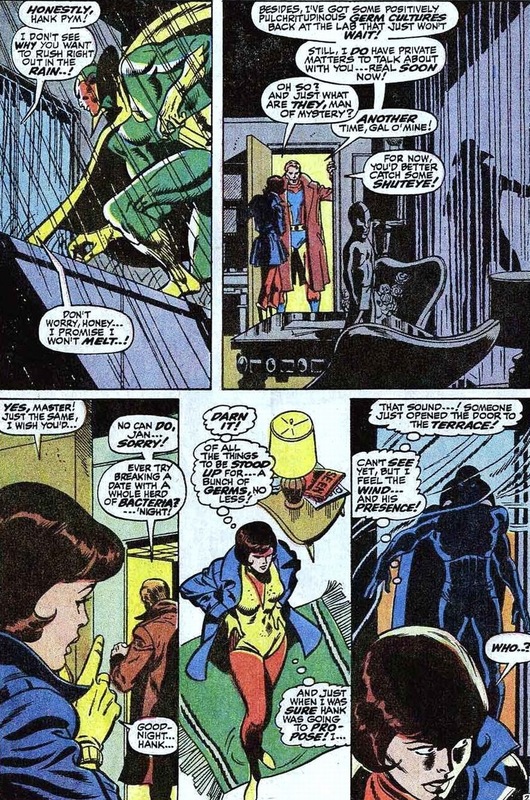 Certainly not the worst moment in their relationship, but Hank Pym has always been a fairly notoriously bad boyfriend/husband. But then again, so has Mr. Fantastic. And T’Challa blindsided Storm with their divorce. Tony Stark certainly can’t hold a meaningful relationship. Turns out that super geniuses lack that important intimacy that allows their significant others to feel wanted and loved. Wakandan calculus? No problem. Making it through an entire dinner without their lady crying? Much more difficult. Except Beast. He’s a total gentleman. 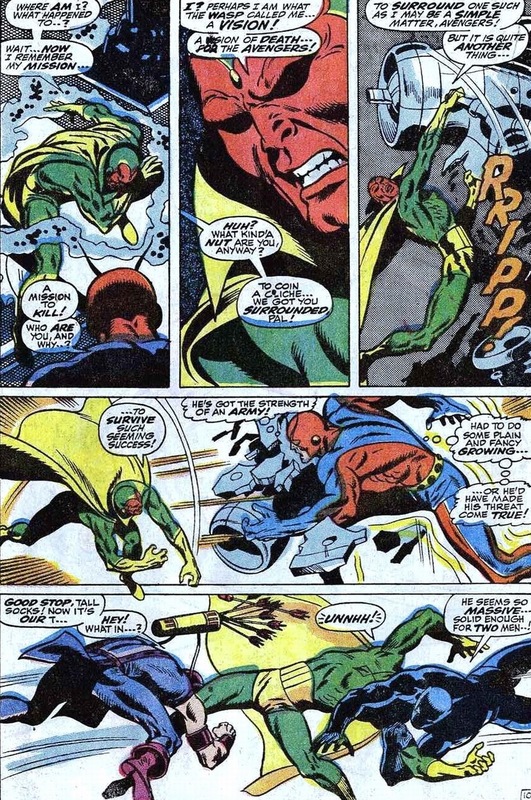 Oh yeah, and Vision fights the Avengers. Well, not for long. 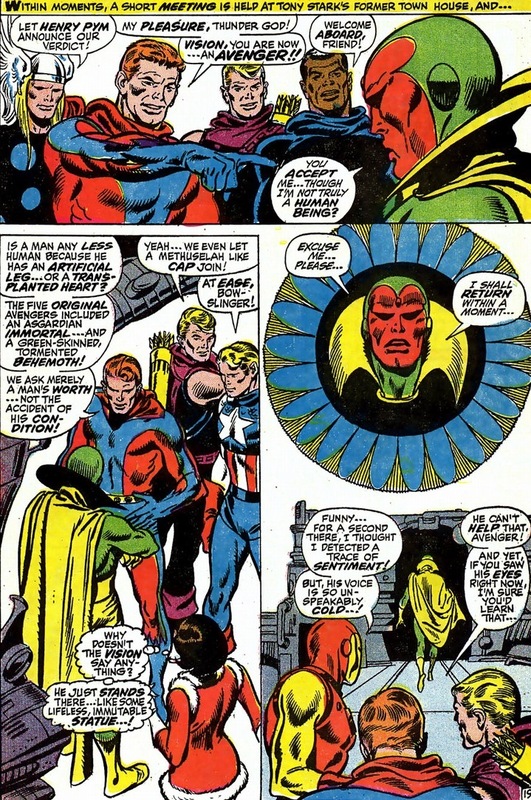 Vision’s father/creator Ultron put some sort of empathy chip or something, because the Vision only needs ten pages to go from unrelenting evil to pushover good guy. 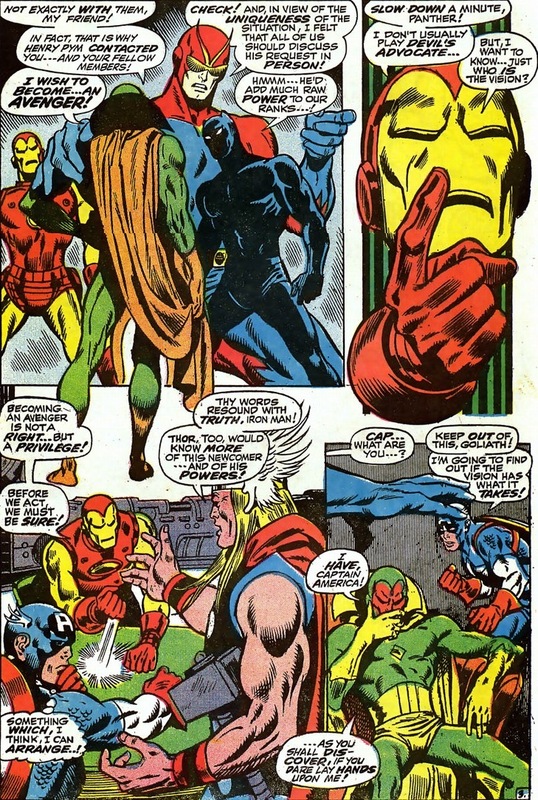 In a test befitting any new recruit, Vision has to prove he has the metal cajones to rumble with the Avengers’ big three. 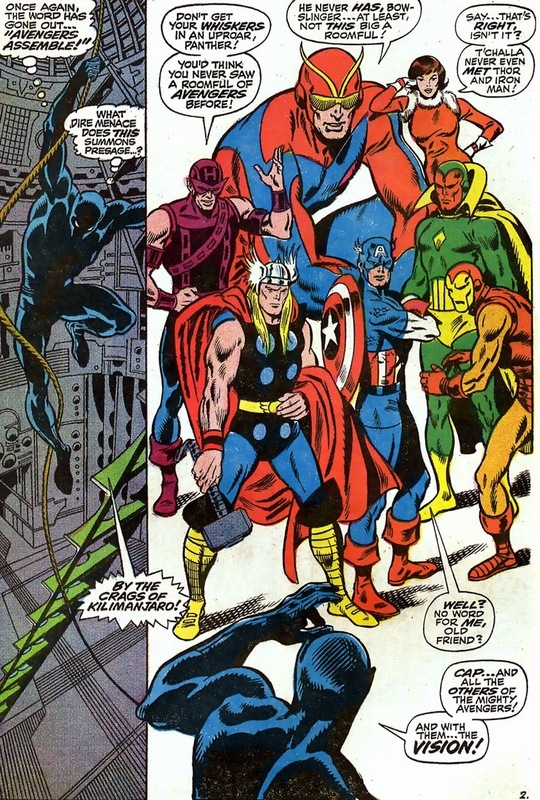 Are the Avengers satiated? 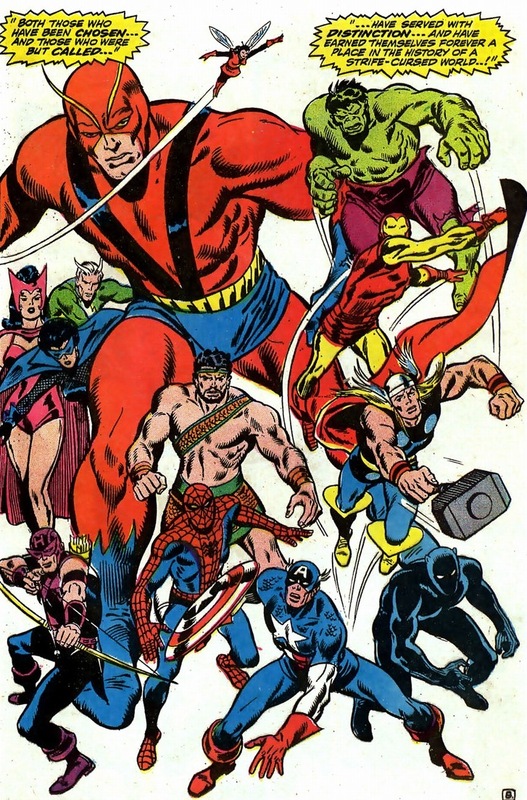 As the ritualistic vote begins to determine Vision’s worthiness commences, it really feels more like a fraternity pledging than an open door into the world’s greatest superhero team. But to be fair, dressing up in costumes and getting into fights can also be used to describe fraternities. Marvel gets applauded for their diversity, as well they should. Comics creating characters of different races, backgrounds, and origins even before the Civil Rights Movement deserves every bit of our praise and respect. 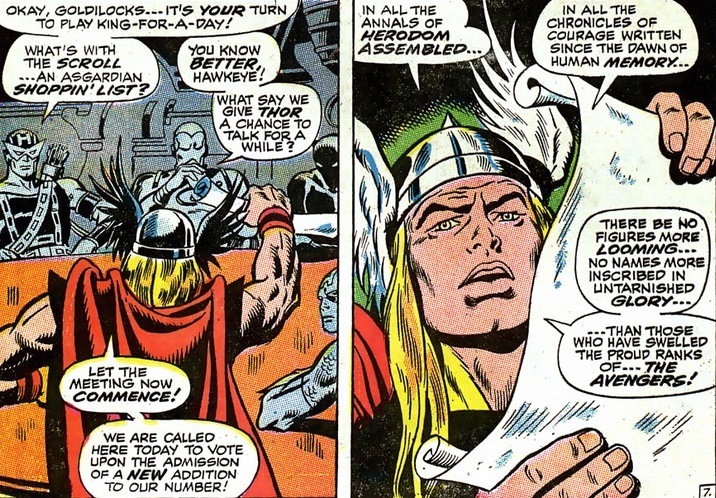 And now the diversity gets upped once again, as the Avengers welcome the newest member into their ranks — robot and all. Only supervillains judge. On Wednesday, we’ll return to the modern age. But this detour has been fun right? 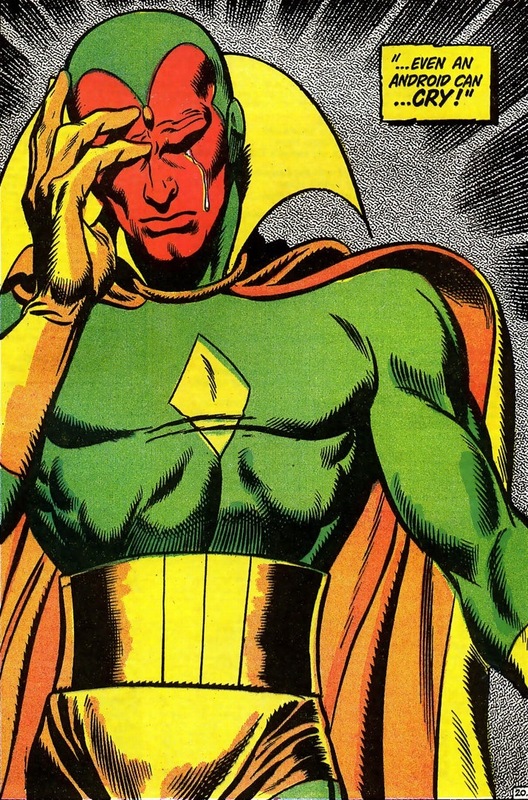 And can someone give Vision a hug?